There are few series that have existed as long, with as many entries and universal acclaim, as Might & Magic Heroes (previously known as Heroes of Might & Magic). Might & Magic Heroes enters its 20th year in 2015 and Ubisoft and is giving it a grand birthday. We’ve already seen the HD port of Heroes of Might & Magic III and Might & Magic Heroes VII, which is shaping up quite nicely, gets released this year. I had the chance to visit Ubisoft’s San Francisco office, sat down with two of the game's developers, Erwan Le Breton and Johannes Pfeifer, and got some hands-on time with Heroes VII, a turn-based strategy game with role playing and town-building elements. 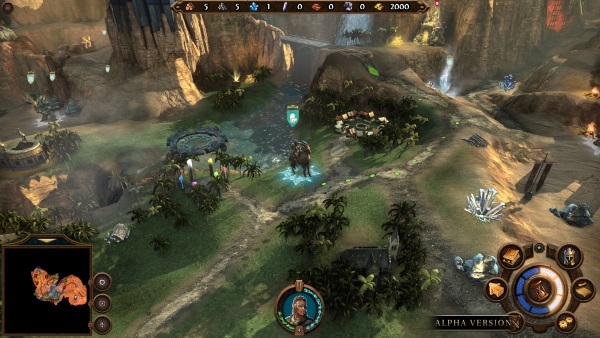 The core game is divided into four main sections: strategy, economy, combat, and role playing. The strategy portion involves moving heroes around the fantasy world of Ashan. Characters have a limited number of movement points per turn to gather resources, complete quests, and fight enemies. There is also a hefty economic component that involves gathering resources to build barracks, markets, town halls, and other important city facilities. Combat is presented like a chess board, with your troops on one side and the enemy’s on the other, both moving towards the middle of the battlefield during the engagement. Role playing is important because heroes gain experience and discover loot, rewards that offer new abilities and stats. When a band has been around for a long time, it’s not uncommon to release a few Greatest Hits collections. This common practice in the music industry is virtually unheard of everywhere else. We don’t buy collections of the best episodes from a television show, the best chapters of book, and most certainly not the best levels from a set of game. However, that is exactly the attitude Limbic Entertainment has taken Might & Magic Heroes VII. They're taking the most popular parts of the previous game to make something new. Heroes VII is the sequel to 2011’s Might & Magic Heroes VI (both take place before Heroes V, because math) in the midst of a civil war that is waging in the world of Ashan. The main story sees Duke Ivan attempting to bring order to the chaos. The majority of the game, however, does not take place during this war but instead, you'll play as various famous figures from Ashan’s history. It’s a setup reminiscent of Machiavelli’s The Prince as each adviser tells tales to teach Duke Ivan valuable lessons. It is also a great excuse to play as the six different factions. These "stories" can be played in whatever order you'd prefer. During my preview session, I played two maps from the Orc campaign set during the great Orc rebellion long before the current events of the game. I played as Imani, a captain in the Orc army, and the first map had me locate reinforcements. This map is set up differently than the average Heroes design. In the span of 28 game days I had to rally centaurs, the hyena-like gnolls, harpies and beastmen. That said, the map is not intended for major resource gathering and you’re not expected to defeat all the enemies you come across. Sometimes the best course of action is to simply go around. The second map was more traditional and incorporated city building, resource managing and droves of enemies to conquer. I couldn't complete level because it was so large. I was first tasked with gathering resources to build a funeral pyre and build up my town. 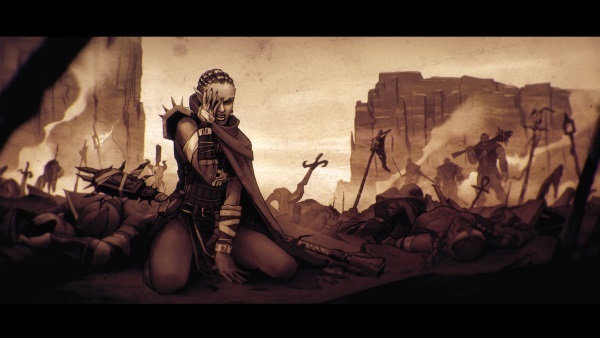 The developers revealed the final game would have 25 maps in the single player campaign, each ranging 30 minutes to 4 hours in length. There are no mind blowing shake ups with Heroes VII. Instead of trying to create something “game changing,” Limbic looked back at the last 20 years of the series (specifically III, IV, V, and VI) to build its “best of” celebration. If you’ve played and disliked previous games, there won't be much to change that opinion. Whether you’re new or a longtime fan, Heroes VII looks to be a great place to jump in because, theoretically, it will contain all the best parts of the franchise. One of the less loved changes Heroes VI introduced was the reduced number of game factions from six to five. In Heroes VII the classical number of six returns: Stronghold, Academy, Dungeon, Haven, Sylvan and Necropolis. Another aspect that was reduced is resources. In Heroes VI there were only four: gold, wood, ore and crystal. Now sulfur, gems and mercury are back. Of all the things I saw there is one that excites me most: caravans! Removed in Heroes VI, the consequences of the absence meant that any time you needed to stock up on troops, you had to spend valuable movement points for the journey back to town. Now, the town sends troops to you! Of course, they could be attacked and die along the way, but hey, that’s the price you pay for convenience and living in a fantasy world ruled by dragons. The three largest changes to Heroes formula are seen in combat with the inclusion of cover, directional-based attacks and how magic is learned. Cover is simple; hide behind it and it protects you. But more than just offering a strategic element, cover also makes battle maps much more visually interesting. Next, in previous game, the direction you attack an enemy from made no difference. Now, it dictates how much damage your enemies receive. Finally, magic has been overhauls as to not be mixed in with all the other abilities. You no longer learn magic by spending experience on it. Instead, you must build Mage guild in you town. The more you resources you spend on enhancing your guild, the magical abilities will be unlocked for your heroes. One of the most fascinating aspects of Heroes VII is how Limbic is going about development. To achieve their goal of making a conglomerate with the best aspects of the Heroes franchise, Limbic has been very open about development with their community. And it’s quite the community; the website has over 7 million views since the game was announced in August 2014 and 200,000 are active community members. Limbic has allowed members to vote various aspects throughout the last few month. So if you would rather see demons or dwarves in the game instead of elves, blame the fans that voted on them. Limbic is also responding directly to community criticism. When they unveiled the Necropolis faction, fans didn’t like it and they redesigned it. While there are obviously some dangers to this style of development of the “too many cooks" variety, it’s also an impressive display of trust and desire to create the game fans want from the developers. Might & Magic Heroes VII isn’t trying to reinvent the wheel, it’s trying to be the best Heroes game ever. And after playing the game and seeing the passion in Erwan and Johannes, I think they might have pulled it off. Currently there is no set release date, given the occasion, but they said it would release exclusively on PC in 2015. So we don’t have too much time to wait to find out.